Does no-till increase free-living microbial nitrogen fixation? 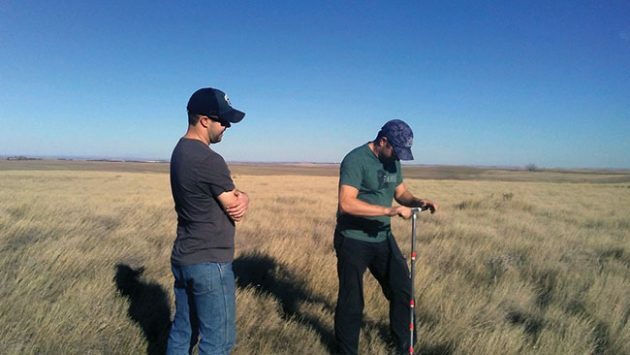 A recently completed study in Saskatchewan examined the nitrogen-fixation contributions of free-living microbes in Saskatchewan fields with different tillage histories, including annual till, minimum till and native prairie fields. When people think about nitrogen fixation in crop production, rhizobial bacteria are probably the first microbes that come to mind. In partnership with legume plants, rhizobia convert nitrogen from the air into a usable form. But some soil microbes fix nitrogen without being in a relationship with a plant. A recently completed project has looked at the nitrogen-fixation contributions of these free-living microbes in Saskatchewan fields with different tillage histories. “Free-living nitrogen-fixing microbes, or diazotrophs, are types of bacteria or archaea. They are everywhere in all soils and ecosystems. Some are anaerobic; some are aerobic. There are lots of different kinds. And people underestimate them,” says Diane Knight, the soil science professor at the University of Saskatchewan who led this project. Her interest in the role of free-living diazotrophs in Prairie soils was sparked by a couple of intriguing research findings. One was related to soil nitrogen budget research. “Many long-term studies in Alberta and Saskatchewan, particularly by Agriculture and Agri-Food Canada researchers, have been looking at nitrogen budgets in different fields. The researchers have taken really meticulous notes of all the nitrogen inputs [like additions from fertilizers and crop residues] and outputs [like losses due to harvest export, soil erosion and leaching]. And when they calculated the balance between the inputs and outputs, the nitrogen budgets have always come up negative. 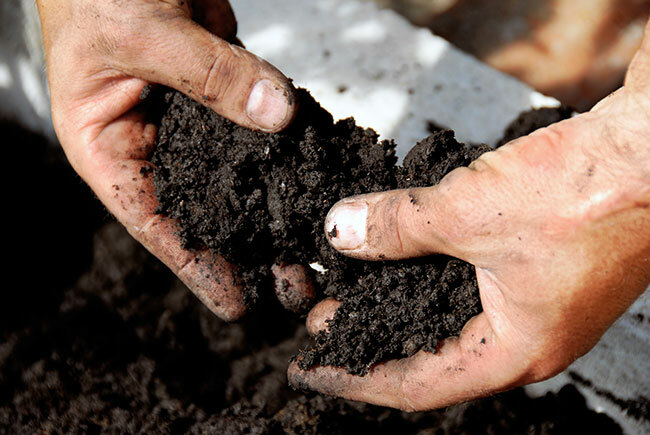 So on paper, the soils always appear to be losing nitrogen,” she explains. “However, when the researchers went into the field and did physical measurements of the amount of nitrogen in the soil, the budgets actually came out positive – the soils have been gaining nitrogen.” And those gains tended to be highest for fields under continuously cropped, no-till, direct seeding systems. The other catalyst came from research by Knight’s colleague Sina Adl, a microbial ecologist who is a co-investigator on this project. Adl had done some work looking at different microbial populations in native prairie soils and cultivated soils. Free-living nitrogen-fixing microbes are much more plentiful in native prairie soils than cultivated soils, and tillage is one of the factors known to alter a soil’s microbial community. Adl had an idea that these diazotrophs were becoming gradually re-established as fields remained in no-tillage systems for longer and longer periods. If correct, this idea would have practical implications. If the conversion to no-till is leading to higher free-living diazotroph populations which are resulting in higher soil nitrogen levels, then perhaps crop growers could reduce their nitrogen fertilizer inputs on long-term no-till fields. So Knight and Adl conducted this project to see whether the transition to no-till has resulted in more free-living nitrogen fixation in Saskatchewan fields. The project funders were the Western Grains Research Foundation and Saskatchewan Pulse Growers. The project’s main objective was to estimate the amounts of nitrogen fixed by free-living microbes in Saskatchewan soils under annual tillage systems and under minimum and no-till systems for different lengths of time. A second objective was to determine whether soil zone and soil texture affect free-living nitrogen fixation. 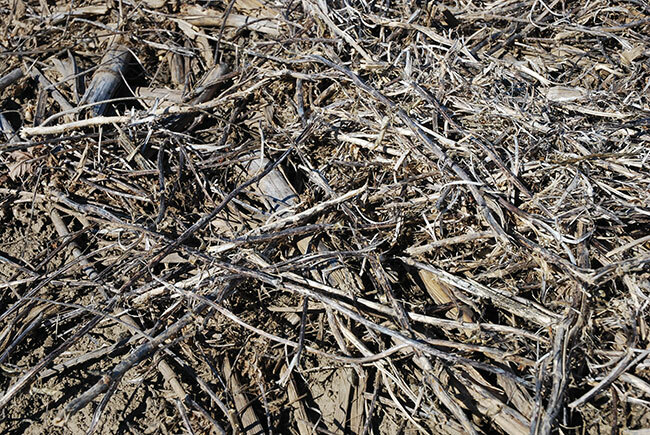 Knight’s staff collected soil samples at multiple sites to see if the transition to no-till in resulting in more free-living nitrogen fixation. Knight’s study estimated the amounts of nitrogen fixed by free-living microbes in Saskatchewan soils with different tillage histories. Knight and her research team used two different techniques to estimate the amounts of nitrogen fixation: an isotope method; and a DNA-based method, where they analyzed the DNA from the soil microbial community to pick out genes related to the ability to fix nitrogen. The project involved five sites: Swift Current (Brown soil zone), Central Butte (Brown), Watrous (Dark Brown), Melfort (Black) and Dana (Dark Brown). At each site, the research team sampled a variety of fields with different tillage management histories. For example, at Central Butte, they sampled four fields: an annually tilled field; a field that had been under minimum tillage for 10 years; a field under minimum tillage for 25 years; and a native prairie field. Unfortunately, the project’s results did not show that no-till is leading to significantly higher nitrogen fixation. “After all this work, we found that there is not very much free-living nitrogen fixation [in any of the sampled crop fields]. The highest amount was about 1 to 3 kilograms of nitrogen per hectare per year. So the amounts were really low,” Knight says. They found that the never-tilled side had much more diazotrophic nitrogen fixation than the side that had not been tilled for 50 years. “So it is going to take a very, very long time to revert back to the numbers [of free-living nitrogen fixation] found in native prairie soils. And even then, the numbers aren’t big enough to be of benefit to a farmer,” Knight concludes. So the mystery remains for now. But perhaps some other researchers will have an opportunity to pursue this further and figure out what factors are not being taken into account in the nitrogen budgets for Prairie soils. And maybe that work will be a springboard for fine-tuning nitrogen management.